John maintains a practice that is dominated by catastrophic, complex, and class action litigation in the State and Federal Courts. He focuses much of his time on insurance coverage disputes, bad faith defense, lawyer and insurance agent malpractice, business litigation, and catastrophic damages caused by all types of casualty risks, including transportation, construction, product liability, fires, and governmental liability, to name a few. He has also argued numerous appeals in the State and Federal appellate courts as counsel for a party and as amicus counsel for lawyer and trade associations. Through the years, he has been admitted pro hac vice in more than 25 jurisdictions, and is frequently hired by out-of-state firms to serve as local counsel in Indiana. For nearly 30 years, John has earned a reputation as one of Indiana's most sought after mediators. Because of the complexity of his litigation practice, John keeps the mediation to a manageable level, but he is frequently hired by judges and lawyers to mediate some of Indiana's largest and highest profile cases. He is also frequently named as an arbitrator in bodily injury, business dissolution, employment, and commercial disputes. John has distinguished himself as a bar leader. He has been president of the state defense bar, and is a past Defense Lawyer of the Year honoree. He has also served on the Board of Directors of DRI, the largest national association of defense lawyers. In 2000, DRI named John its outstanding defense bar leader of the year. More recently, John has chaired DRI's national Judicial Task Force to explore and offer recommendations on how DRI can assist in maintaining a fair and impartial judiciary. John is a Past President of the Indianapolis Bar Association; President-Elect of the Indianapolis Legal Aid Society; and a past Chair of the Board of Visitors of Indiana University Robert H. McKinney School of Law. He is also the President-Elect of the Texas based Association of Attorney Mediators. John has been repeatedly listed in state and local polls of attorneys as one of the top lawyers. Since 2004, he has been selected for inclusion in Indiana Super Lawyers® and ranked number one overall in Indiana from 2011-2018. He was also selected by his peers for inclusion in The Best Lawyers in America® in the fields of Insurance Law; Mediation; and Personal Injury Litigation - Defendants. 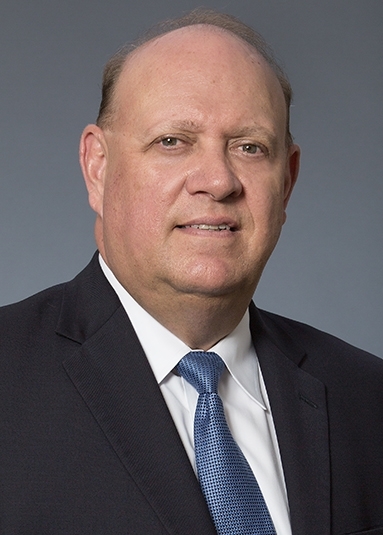 He was named Best Lawyers’ 2013 Indianapolis Insurance Law - Lawyer of the Year, Best Lawyers’ 2015 Indianapolis Personal Injury Litigation – Defendants - Lawyer of the Year and Lawyer of the Year, Best Lawyers' 2019 Indianapolis Person Injury Litigation - Defendants. Indiana Appellate Decision Maynona Blackmon v. Mt. Zion Apostolic Church, Inc.
Andy Mohr West d/b/a Mohr Toyota, et al v, Toyota Motor Sales USA, et al. Indiana Supreme Court. Represented Toyota in a dispute filed by three Indianapolis area Toyota dealers who sought to challenge Toyota’s right to move a Toyota dealership from Anderson, Indiana to Fishers, Indiana. Bush v. State Farm Mut. Auto. Ins. Co., 905 N.E.2d 1003 (Ind. 2009). The issue involved parents’ attempts to recover uninsured motorist coverage for the death of their adult son who did not reside in their home. Tri-Etch, Inc. v. Cincinnati Insurance Company, Amicus counsel for the Indiana Institute of Indiana Inc., addressing the issue of whether an insurance company must waive the late notice defense if it raises other unrelated coverage issues (2008). Richard J. and Delores J. Pflanz v. Merrill Foster, Individually, Merrill Foster d/b/a Friendly Foster’s Service and Sunoco, Inc (R & M), Amicus Counsel for Insurance Institute of Indiana on the issue of the statute of limitation to bring an insurance claim for environmental clean-up damages. Indiana Bell Telephone Co. v. Indiana Payphone Association, Amicus counsel for the American Public Communication Council arguing issues relating to utility rates for pay telephones. Cain v. Griffin, 2006 Indiana Supreme Court. This case decided that there is no duty of good faith owed by an insurance carrier to a Third-Party Beneficiary of and insurance contract. Midtown Chiropractic v. Illinois Farmers Insurance Company, 2006. Counsel for Insurance Institute of Indiana and Property Casualty Insurers Assoc. of America, on the issue of whether creditors of plaintiffs can bring direct actions against defendant insurance carriers. Minnet v. State Farm, Indiana Court of Appeals, 2001. Counsel for Insurance Institute of Indiana on the issue of whether Indiana should judicially adopt a third party tort of bad faith. Jesse v. American Community Mut. Ins. Co., Counsel for Insurance Institute of Indiana (III), arguing the issue of material misrepresentation on an application for insurance. Ammerman v. Ford, Indiana Supreme Court, 1999. Counsel for Defense Research Institute (DRI), arguing admissibility of expert witness testimony. Ross v. Cheema, Indiana Supreme Court, 1998. Counsel for Defense Trial Counsel of Indiana, Inc., arguing against the expansion of damages for negligent infliction of emotional distress. Mortell v. State Farm Insurance, 1996. Indiana Court of Appeals. Counsel for Indiana Insurance Institute, arguing procedures for review of insurance company conduct in the administration of claims. Collins v. Economy Fire & Casualty, Indiana Supreme Court, 1995. Counsel for Indiana Insurance Institute, arguing issue of insurance company liability for excess verdicts. Richey v. Chappell, Indiana Supreme Court, 1990. Counsel for Indiana Defense Lawyers Association, arguing issue of discoverability of insurance claim files. Indiana Arson and Crime Association, Inc.
Common and Recurrent Problems In The Appraisal Process: It’s Time To Get It Right, National Association Of Mutual Insurance Companies (NAMIC) Claims Conference, Lake Buena Vista, FL, February 7, 2018. Webinar: Succession Planning for In House Attorneys, Federation of Defense and Corporate Counsel, January 22, 2018. A Tough Mind and a Tender Heart Revisited, Brotherhood Mutual, January 11, 2018. 2017 Year in Review, "Insurance Law Update," Indiana Continuing Legal Education Forum, December 5-6, 2017. The Rapidly Shifting Sands of Law Practice: Don’t Be Left Behind, Law Practice Management, DRI Annual Seminar, Chicago, IL. October 4-8, 2017. The More the Merrier: Keeping Your Members Engaged, SLDO Program, DRI Annual Seminar, Chicago, IL. October 4-8, 2017. Planning for a Successful Firm Culture: How to Develop and Implement a Strategic Plan for Your Firm, Managing Partners and Law Firm Leaders Conference, DRI's Law Practice Management Committee and The Remsen Group, Chicago, IL, September 14-15, 2017. Insurance Law Update, Indiana Law Survey, Indiana University Robert H. McKinney School of Law, September 14, 2017. Succession Planning, Elevate Your Firm, Indiana Chapter Association of Legal Administrators, September 13, 2017. Succession Planning: Protecting Your Firm and Your Clients’ Legal Interests in Times of Transition, Federation of Defense & Corporate Counsel, 2017 Winter Meeting, Charleston, SC, March 10, 2017, Panelist. Building Relationships and Rainmaking, Washington Defense Lawyers Association, Whistler, BC, Canada, July 15, 2016. The Future of Law and How Lawyers Can Prepare and Thrive in Changing Times, All-Ohio Legal Forum FuturePlan: Strategies for the Future of Your Practice, Cincinnati, OH, April, 2016. Practice Structure and Building a “value added” Practice with a Succession Plan, All-Ohio Legal Forum FuturePlan: Strategies for the Future of Your Practice, Cincinnati, OH, April, 2016, Panelist. Succession Planning: Protecting Your Client’s Legal Interests in Times of Transition, DRI Women in the Law Seminar, Scottsdale, AZ, February 17-19, 2016, Panelist. Litigation Trial Skills Series: Utilizing Technology in the Courtroom, Indianapolis Bar Association, June 10, 2015. Using Metrics to Improve Your Business and Bridging the Generation Gap: Practical Tips for Communications Among Generations, Nebraska Annual Meeting, Nebraska Defense Counsel Association, June 5, 2015. Breakthrough Negotiations, Faculty Indiana Continuing Legal Education Forum, May 28-29, 2015. The Impact of Metrics on Law Firms: What You Don't Know Can Hurt You, FDCC/IADC Law Practice Management Seminar, Chicago, IL, May 13-15, 2015. Make it Rain! Inside Tips for Transitioning from Associate to Rainmaker, Indianapolis Bar Association, Young Lawyers Division, May 16, 2014. Evolve or Perish: Leading your Firm in an Increasingly Competitive Market, Faculty Member and Presenter on Strategic Planning for Law Firms, 2014 Managing Partner Forum, Atlanta, GA, May 7-8, 2014. Retaining Diverse Employees for Years to Come, Indianapolis Bar Association, April 17, 2014. What You Don’t Know Can Hurt You – HIPAA Compliance for Law Firms, Indianapolis Bar Association, March, 2014. Indiana University Robert H. McKinney School of Law, Public Policy Mediation Course, January 9, 2014. What You Don’t Know Can Hurt You: A Discussion about How Metrics and Analytics Can Affect Your Practice, DRI Committee Leadership Conference, January 9, 2014. Under Attack! How to Respond to Physical and Internet Threats Against Your Firm and Clients, Kentucky Defense Counsel Fall Meeting Lexington, KY, November 8, 2013. Behind the Curtain: What Young Lawyers Should Know About Insurance and Business Metrics, Kentucky Defense Counsel Fall Meeting Lexington, KY, November 7, 2013. Civil Forms, Indianapolis Bar Association's presentation for Solo and Small Practice Committee Indianapolis, IN, October 30, 2013. Indiana University Robert H. McKinney School of Law, Public Policy Mediation Course, August 22, 2013. Metrics & Analytics: The New World of Litigation Management, ITLA Advanced Mediation Training Seminar, July 18, 2013. Proper Handling of Trust Accounts and Other Risk Management Issues for Solo and Small Practice Lawyers, Indianapolis Bar Association, Solo and Small Practice Section, May 29, 2013. Suing the Sovereign – Tort Claims, Tort Claims against the State of Indiana and Municipalities, Indiana Continuing Legal Education Forum, February 20, 2013. "Do alternative legal communities challenge traditional bars?" The Indiana Lawyer, April 3, 2019. "Are You Ready? Tactics for Negotiation," For The Defense, March 2019. "Eye on the Profession: Let's take 'good' and make it even better in 2019," The Indiana Lawyer, December 26, 2018. "Eye on the Profession: Does culture in the legal workplace matter?" The Indiana Lawyer, August 22, 2018. "Eye on the Profession: Wise words from counsel: There are no clients in the alley," The Indiana Lawyer, February 21, 2018. "2018 outlook: Litigation spending up, law firm rosters down," The Indiana Lawyer, January 10, 2018. "Eye on the Profession: Are you ready for 2018? Some 'hot' tips to get you started," The Indiana Lawyer, December 27, 2017. "Eye on the Profession: Is there a ‘ROI’ for young lawyers' bar association involvement?" The Indiana Lawyer, October 18, 2017. "Eye on the Profession: Chris Hickey to lead National Conference of Bar Presidents," The Indiana Lawyer, August 23, 2017. "Eye on the Profession: Indiana attorneys: Change is here; you will eventually like it," The Indiana Lawyer, June 14, 2017. "Eye on the Profession: Lawyer succession planning is easier said than done," The Indiana Lawyer, April 5, 2017. "Eye on the Profession: Dr. King's timeless words from 50 years ago still ring true," The Indiana Lawyer, February 22, 2017. "Eye on the Profession: Our profession needs to be ready for rocky times ahead," The Indiana Lawyer, November 2, 2016. "The Appraisal Process and the Insurer’s Dilemma, DRI: For The Defense," October 2016. “Believe What You Want to Believe: The Decision is Yours,” The Indiana Lawyer, November 18, 2015. “What You Don’t Know Can Hurt You: Insurance Metrics and Analytics,” DRI: For The Defense, November 2015. "When a Barking Dog is a Good Thing: Some Tips for Success for Young Lawyers," The Indiana Lawyer, August 26, 2015. “Disruptive Innovation: Lawyers Must Pay Attention,” The Indiana Lawyer, August 12, 2015. “Implicit Bias: We All Have It,” The Indiana Lawyer, July 29, 2015. “Solo and Small Practice: It takes Courage and Strength,” The Indiana Lawyer, July 15, 2015. “Personal Branding: Do You Have a Brand?” The Indiana Lawyer, June 17, 2015. “Mentoring: Do You Have it in You?” The Indiana Lawyer, June 3, 2015. "Reflections on a 'Family Reunion' Bench Bar 2015," The Indiana Lawyer, July 1, 2015. "Do You Hate Networking? Then Call it 'Friend Making'," The Indiana Lawyer, May 6, 2015. "The Time for a New Justice Center is Now," The Indiana Lawyer, April 22, 2015. "Reflections on a Lawyer's Role in a Firestorm," The Indiana Lawyer, April 8, 2015. "To Be or Not to Be...Connected 24/7," The Indiana Lawyer, March 25, 2015. "What You Don't Know Can Hurt You: It's Time To Pay Attention," The Indiana Lawyer, March 11, 2015. Civility Seminar Article, DRI: For the Defense, July 2012. "Making Choices in Mediation," Indianapolis Bar Association, November 23, 2011. "Mediation of Catastrophic and Complex Claims," Florida Mediation Institute, April 2011. "Avoiding Dealing With Pessimism," The Association of Attorney-Mediators Newsletter, September 2009. "Mediation of Catastrophic and Complex Claims," DRI: For the Defense, August 2009. "The Time is Now for Defense Lawyers to Learn about the Issues Facing the Judiciary," DRI: For the Defense, August 2007. Without Fear or Favor: A Report by DRI's Judicial Task Force, DRI, 2007 (Chair). Eye on the Profession: Is there a ‘ROI’ for young lawyers' bar association involvement?